Singer 60-inch Vinyl Tape Measure is lightweight and accurately printed in both-inches and centimeters. 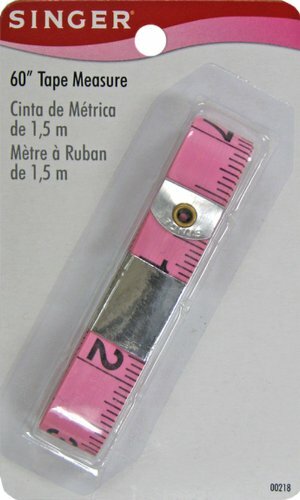 This flexible tape measure is perfect for measuring curved or flat surfaces. Metal ends keep the tape from fraying.